One major obstacle to the growth of Linux on the desktop is the lack of easy availability of pre-installed Linux PCs and laptops. You can go to Staples or Best Buy and pick up a Windows PC or Chromebook (at Best Buy only) and be out of the store in under 10-minutes. If you want a Mac, you can walk into an Apple store or Best buy and pick up an iMac or MacBook Air. Of course, you can also go online and buy Windows PCs, Chromebooks or Mac with just a few clicks and the benefit of free shipping. But try buying a pre-installed Linux PC. No, you won’t find them at Best Buy or Staples. Now if you ask me, installing Linux on an old PC or laptop is child’s play. But some folks are sill uneasy about the whole process of downloading and burning Linux Mint or Fedora or Ubuntu to a USB drive or disc and then installing it on their PCs and notebooks. All’s not lost for you scared folks. 1. Symple – The brainchild of Phoenix entrepreneur Jason Spisak, Symple takes off-lease computers, recycles them into $89 Linux computers with Ubuntu pre-installed and sells them online. One caveat though – Symple will not provide support for the Ubuntu operating system. You’re on your own on all software issues. But I don’t see that as a big negative if you know how to move the mouse and type google in the address bar of your browser. Plus, there’re various online support resources like Ubuntu Forums. 2. Current Build – You can buy pre-installed Linux mini-PCs and desktop PCs at prices starting at $289. Current Build will pre-install Linux Mint, Ubuntu, Fedora, Mageia, OpenSUSE or Debian for you. Current Build is based in Santa Monica, California. 3. Amazon.com – You really aren’t surprised to find Amazon on the list, are you? Of course, you can find Linux computers at biggest e-tailer. To be sure, there are not many Linux computers on Amazon but a few. These systems are usually sold by third-parties who leverage Amazon’s web site to peddle their wares. While I was writing this post (in early March 2015), I found a Dell Optiplex with Ubuntu for $176 (specs: small form factor,3.0Ghz, Core 2 Duo,250Gb Sata HDD, 4Gb Ram, DVDRW, Ubuntu 14.04.1 LTS). Although the hardware is decent, I consider the $176 price tag steep. 4. Free I.T. 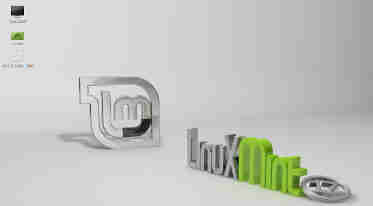 Athens – You can get used desktops and laptops with Linux Mint pre-installed at insane prices at Free I.T. Athens. If you have a weak heart, I suggest you close this browser because the prices will knock you off your chair. A PC with single core processor, 1GB of RAM, 80GB hard drive (or greater) and Linux Mint costs $25.00. For an additional ten bucks, you will get a keyboard, mouse and CRT monitor as well. Computers with higher specifications (Dual core processor, 2GB RAM, 80GB hard drive (or greater) and Linux Mint OS go for $50. There’s a 90-day warranty on the desktops but laptops are sold as-is. Where to buy – Visit the store in Athens, GA during their open hours. 5. eBay – An excellent option to buy pre-installed Linux desktops or laptops is the auction site eBay. I’ve found Ubuntu desktops going for as low as $60 (specs: HP Compaq DX7500 Intel Core 2 Duo CPU E7500 @ 2.93 GHz / 4GB / 160GB / Ubuntu 14) and Linux Mint desktop selling for a mere $36 (specs: Dell Optiplex 330 Desktop PC Core 2 Duo 2.4 GHz 2GB 200GB DVDRW Linux Mint) and . 6. ThinkPenguin – This Flemington, New Jersey firm sells Linux desktops and notebooks but they’re on the expensive side for my taste. ThinkPenguin sells desktops and notebooks with a variety of Linux distributions pre-installed. You can pick from Fedora, Linux Mint, Ubuntu, OpenSUSE, Slackware, ZorinOS, Lubuntu, Kubuntu and other Linux options at the time of order. Prices start at $400 for desktops. Notebooks are even more expensive, starting at $600. Other companies like System76, Linux Certified and ZaReason also sell pre-installed Linux desktops and notebooks but like ThinkPenguin they tend to be on the expensive side and I wouldn’t recommend them to newbies looking to kick the Linux tires. CompuLab and LinuxMint have joined hands to offer a MintBox Mini computer for $295 in the second quarter of 2015. You can get a CD with Linux Mint or Ubuntu software on it for as low as $2.40 (including shipping) on eBay. Typically, these Linux CDs, DVDs and USB sticks allow you to test drive Linux without installation on your computer (it will run a bit slower, of course). If you like what you see, you can then install Linux Mint or Ubuntu or any other Linux distro through the convenient “install” feature that’s present on the CD, DVD or USB drive. If you have yet to kick the Linux tires around, I strongly encourage you to start now. Linux is a fun and rewarding journey, I promise you.